The beautiful Pepsi IPL 7 Patch 2014 Menu for EA Sports Cricket 2007 is now released. 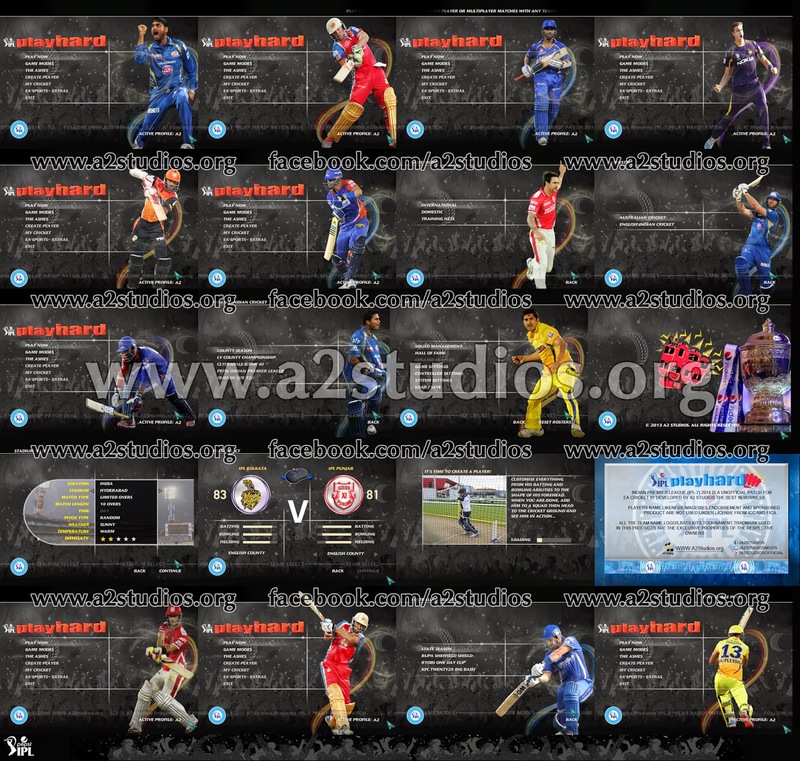 This menu is especially designed for A2 Studios Pepsi IPL 7 "Play Hard!" Patch for Cricket 07. Professionally done graphical work by our talented and rising modder Shailesh Kumar with the help of Veteran modder @AbdulAhadJawaid, also featuring the high quality cut renders of prominent IPL 2014 star players, will defo be a treat to watch! Surely you're gonna love the sight of the Main Menu!